Rebecca Carey, 23, had spent much of her young life rescuing stray dogs from the streets. At some point last weekend, one or more of the rescued dogs in her home attacked Carey and killed her. The official cause of her death was sharp lacerations to her neck and upper torsosometime over the weekend, according to the DeKalb Medical Examiner’s report released on August 17. A photo of volunteers removing animals from the DeKalb County Animal Shelter in 2007 on the Best Friends’ Animal Society website is credited to Rebecca Carey,LifeLine Animal Project. A subtitle states, “Best Friends Network members can make a difference.”Best Friends is one of the foremost "No Kill" organizations. Carey&apos;s familyissued the following statement: "Rebecca Carey of Decatur was 23 years old and an avid animal lover. Since the second grade when she read the bookThrow Away Petsshe vowed to be a voice for all animals,”Greg and Ellen Careysaid she did her first animal adoption in 2003 and continued to volunteer with rescue groups and animal shelters.Rebeccaattended Georgia Perimeter College and worked at a veterinary clinic. Carey had five dogs living with her at the time of her death—two Pit Bulls, a Boxer mix, and two Presa Canarios. 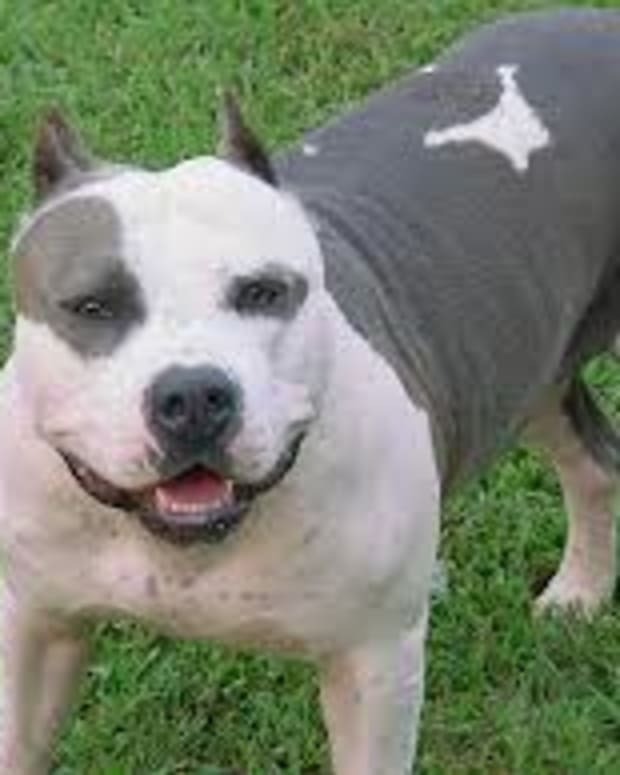 One of the Presa, named Danai,was allegedlyowned by Jackie Cira.One of the Pit Bulls, Napoleon, was Rebecca’s personal pet thatshe had owned for six years. "There was a lot of blood,"said Cira, who lives in Loganville, "and whenIfirst got there, it looked like she had fallen and hit her head." Officers initially thought they might be dealing with a homicide, said DeKalb police spokeswoman Mekka Parish. But it soon became clear that her attackers were four-legged.With the consent of Carey&apos;s parents, the dogs were euthanized Wednesday, Parish said. "Any dog she came into contact with, she brought out the best in. She wanteddogs she knew to be gentle to be spared punishment…I don&apos;t know who did what, but I can saywith certainty who did not," Cira told Channel 2.However, she acknowledged that it is possible Rebecca was trying to break up a fight between the dogs when one or more of them killed her. DeKalb County Animal control&apos;s interim director Tim Medlin told WSBTV.com/reporter,Jeff Dore,that the county can&apos;t risk putting a killer dog with a family. "We didn&apos;t know which dog did which. I can&apos;t be wrong. Not just myself--no one can be wrong in putting out a dog that possibly had to do with these type of injuries. I will not put another person at that kind of risk," Medlin said. "She was a very experienced dog handler," Cira said, adding Carey was not naive when it came to dealing with aggressive canines. "If she found out it was a dangerous dog, they were gone," Cira said. "She felt strongly that dangerous dogs had no business being in society where they could attack a child or something. "Cira did not explain whether she meant Rebecca would have a dangerous dog euthanized or merely transported to another location, which is a common practice among rescuers. But for all her friend’s confidence, it appears Rebecca Carey did not bring out the best in these dogs and that she was not as astute as she hoped in assessing a dangerous situation. Although Rebecca Carey may have been experienced at handling dogs for a 23 year old, anyone with a mature and realistic knowledge of dog-breed behavior would not put five dogs with innate animal-aggressive propensities together without expecting a tragedy, for at least one or more of the dogs. In this case, unfortunately, it also affected a well-intentioned young girl who had undoubtedly been told by “No Kill” advocates that all dogs are the same—some are just misunderstood--and that loving them is enough to assure gentle behavior under any circumstance. Two Presa Canarios, Hera and Bane, a male weighing 140 lbs., brutally attacked and killed Diane Whipple in 2001 in San Francisco, in a horrible mauling of the young Lacrosse coach in the hallway of her apartment building. Pit Bulls are bred by “game” bloodlines to retain a level of aggression that triggers them to kill their own species without provocation. Presa Canarios are “Canarian catch dogs.” This refers to their ability to hunt and “catch” large animals, immobilizing them by use of their powerful bodies and jaws. Perhaps before immediately turning the death of this beautiful and vibrant young woman into a fund-raising opportunity, we should all—including animal rescuers—pause and grieve for this tragic loss of a human life. And the leaders of the many large animal organizations that urge vulnerable young people to believe they can and must save aggressive-breed dogs regardless of risk to themselves, the public and other animals, in order to reach a mythical “No Kill” goal, should also reflect on their responsibility for the death of Rebecca Carey.